This Easter Sunday, gather around the table with the whole family at Perry’s Steakhouse & Grille (5 Oakbrook Center, Oak Brook, IL 60523; 630-571-1808). 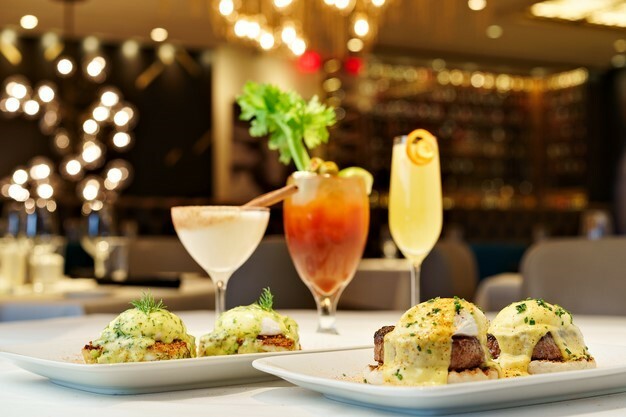 On Sunday, April 21, Perry's will open early at 11 a.m., serving guests an all-day dinner menu, three cocktail specials, two off-the-menu brunch-inspired dishes and the restaurant’s traditional Sunday Supper Special, making Perry’s the perfect place to end Lenten fasts. Guests can also order crowd favorites off the regular dinner menu such as the Filet Perry, Chateaubriand with three signature sauces, 14-oz. Prime New York Strip, Crispy Skin Wild Red Snapper, and Pan Seared Sea Bass and Ultimate Chicken Parmesan along with many other classics with a modern twist. Plus, choose from a variety of beloved, signature desserts, including the flaming Nutty D’Angelo, prepared tableside.